Road trips are not just a summertime thing. Many Canadians plan road trips during the winter months. They travel south to get a reprieve from the winter weather, take trips up north to go skiing and many people plan road trips to see family and friends over the holidays. Get your winter tires on: If you haven’t already, it is a good idea to get winter tires installed on your vehicle before you leave. 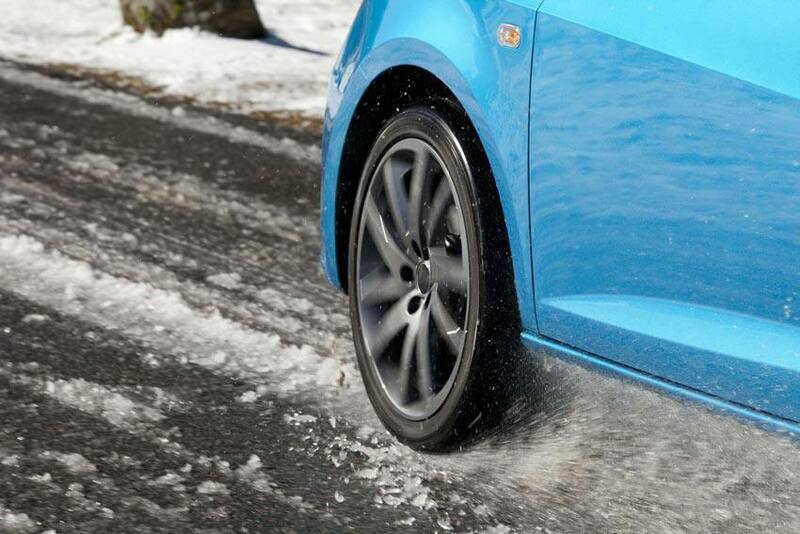 Winter tires provide added control and grip during cold temperatures and when road conditions are slick. Get a vehicle checkup: This is especially important if you are driving an older vehicle. Take your car in for a checkup to make sure everything is working properly. Top up the antifreeze, replace your wiper blades if necessary and make sure you have plenty of windshield wiper fluid. Plan a safe winter driving route: Forget about shortcuts and back roads. During the winter, it’s important to stay on major roads. They will be the first to get plowed if there is a snowstorm, and more vehicles use them, so they are more likely to be clear. When planning your route, it’s also a good idea to plan rest stops and identify areas with gas stations. Plan around the weather if possible: Avoid driving in potentially unsafe and overly stressful weather conditions. Check the weather forecast and try to plan your travel time around poor weather. Prepare a winter emergency kit: You never know what could happen when driving during the winter, and you should be prepared. A winter emergency kit will provide you with all the essentials you need if your vehicle breaks down or if you get stuck on the side of the road or get into an accident. Your kit should include a small shovel, blankets, batteries, flashlight, snacks, bottled water, jumper cables and anything else that could help in an emergency situation. Share driving duties: Driving during the winter can be stressful and tiring. If possible, share the driving duties. It’s also important to know your limits: if you start to feel tired, take a break from driving, get some fresh air and even take a short nap if you need it. Eliminate driving distractions: Minimizing driving distractions is even more important when driving during the winter. Put away your phone and focus on driving safely. Get travel insurance: Winter driving can be unpredictable. If something unforeseen happens, travel insurance ensures you can get travel assistance, a rental car if your vehicle is damaged or accommodation if you get stranded.